Designed by Tonia Barry, this pullover is fun to knit! Published in Classic Elite Yarns’ booklet Palette, “Chromatic” highlights Liberty Wool from Italy. Liberty Wool Print is 100% washable wool, 5 sts/inch on Size 7 needles. Instructions are written for knitting in the round or flat. I’ve enjoyed taking this project to my weekly knitogether because it does not demand my full attention. 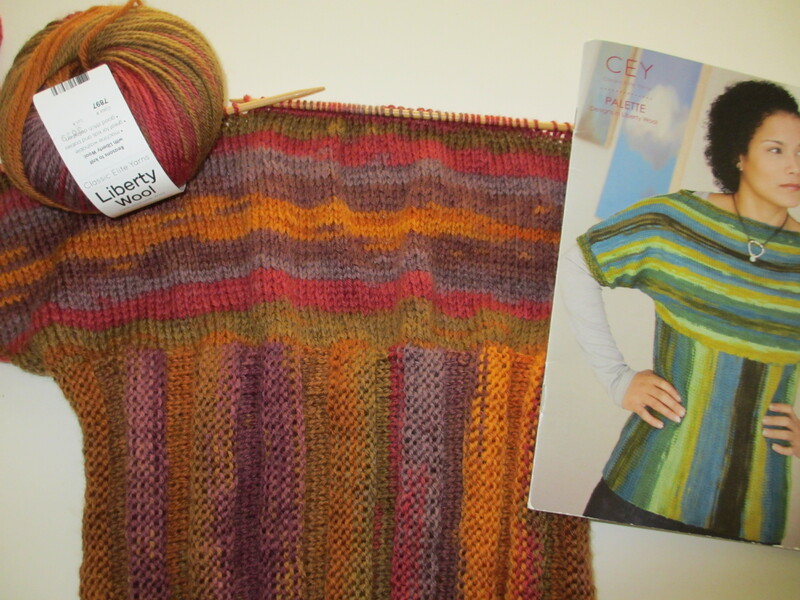 Instead of using the suggested 2 x 2 Rib for the neckband and sleeve cuffs, I’m going to add a crocheted edge. Previous Previous post: A Form Of Flattery Or A Coincidence?